From Saudi to Canada | Jona Lee San Pedro - Pharmacist - Gateway to Canada | Canada Immigration Consultancy! Ms. Jona Lee San Pedro is a Registered Phramacist in the Philippines. But when we processed her application for permanent residence in Canada via Federal Skilled Worker program, she and her family were already based in Saudi Arabia, where she was working as a pharmacist. The distance did not become a problem for them. When they were required to undergo medical examination, they did it in Saudi. When they were required to submit the original passports for visa stamping, they just sent the passports to us via courier. When their visas were issued, the same were sent back to them via courier. 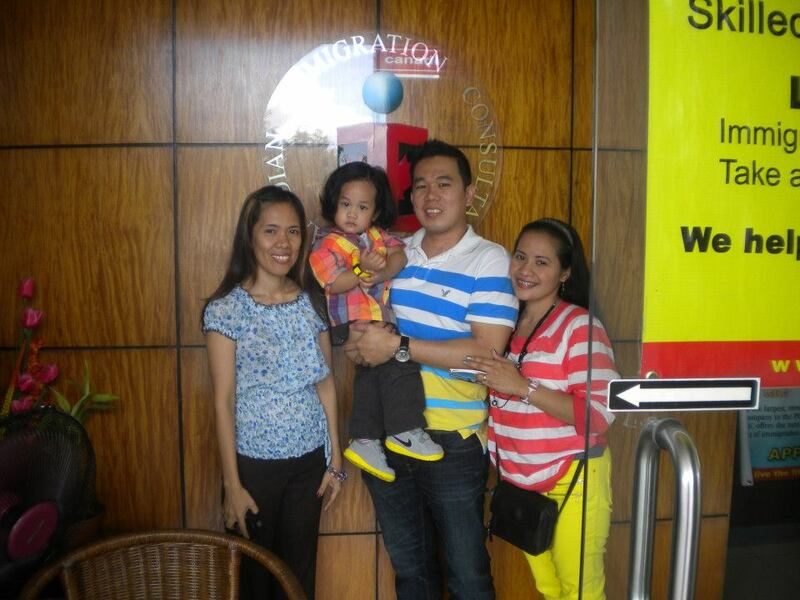 They returned to the Philippines and visited our office after they resigned from their work in Saudi. If you are a Filipino Worker now working in Saudi and you also want to live and work in Canada, distance is not a problem. We can help you process your application. At Canadian Immigration Consultancy, we make it easy.